What are Dental Tooth Implants? What Can Dental Implants Do? 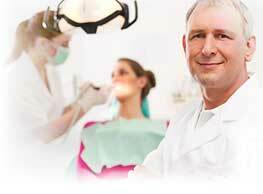 What Can I Expect After Dental Implant Surgery? Bad breath is one of the most common problems seen among individuals. Studies point that 70% of them are teenagers who suffer from bad breath. It is more embarrassing when you face and communicate with someone. The most comical thing in this is that, you will not know that you have a bad breath. You will not be able to smell your breath and the other one who communicates with you will be suffering due to the same. It is difficult to understand that you have bad breath as you cannot smell your breath. Test yourself to find whether you have it or not. There is a best way to test this. Hold your hand over the mouth and nose, try to exhale. While, try to smell the breath also. This method will help you. Otherwise, you can even test yourself with your dear ones if they are willing to smell your breath. Do not test your breath just after you wake up in the morning. Morning breath will always smell little bad as the salivary glands secrete less saliva that allows the acids and other debris to putrefy the mouth when you are asleep. Brushing twice and flossing properly will help you in eliminating the morning bad breath to a certain extent. You will be able to prevent bad breath by controlling the consumption of certain food items, alcohol, tobacco etc. It is important to brush and floss after every meal in order to remove plaque and food debris that accumulate on the gums and teeth. If you use dentures, keep it clean. Visiting your dentist and having check-ups at least once in every six months is necessary to maintain the oral health of an individual. If the issue of bad breath persists for long, you will have to visit the dentist for further examination and treatment. This can be due to gum diseases, dry mouth or excess plaque. It is important to find the cause of bad breath in you. The dentist will try to find it out. If he finds that your mouth is healthy, he will suggest you to visit a general physician who will be able to find the cause and solution for it. Apart from other medical treatments, there are number of home remedy and solutions to cure bad breath. These can be experimented in mild cases if the problem is not associated with any other medical conditions. Apple Cider Vinegar: One of the effective home remedies which helps in prevention and relief from bad breath. It is a proven method that can give long lasting relief. You can make this mouth wash just by mixing ½ tablespoon of vinegar into a glass of water. Gargling this for 10 seconds at a time will give you relief from bad breath for a long period of time. Baking soda: One of the highly recommended solutions for bad breath is baking soda. It is helpful to change the PH acidity level in the mouth. You can use baking soda with your tooth paste while brushing in the morning. You can even buy toothpastes that contain very little amount of baking soda. Tea Tree oil: It is considered as one of the natural remedies for bad breath. You will have to add just a drop of oil onto the tooth brush. There are plenty of mouthwashes available in the markets that contain tea-tree oil in it. Citrus Fruit: The high amount of citrus in the fruits helps in controlling the bad breath. Such fruits have the ability to keep the mouth from smelling bad. Fruits that contain high amount of citrus acid include orange, sweet lemon and grapefruit etc.